Okay, so whatever is on this planet, is actually natural. That includes man and that includes chemicals. Man has been able to combine chemicals in ways, that did not previously occur in that same manner, in “nature”; but the fact that man can combine chemicals in novel combinations must still be in accordance with natural laws. It cannot be otherwise. Toxicity, however, should be a definite concern, when it comes to whether or not we will sustain humanity’s ability to live on this planet. We have been aware through the direct experiences of more than one acquaintance that allergic sensitivities to certain chemicals are developing in people, that seriously impact their quality of daily life. Good news comes by way of a thorough effort to address such concerns in the building of The Bullitt Center, opened in Seattle WA in April 2013. In learning the details of this new construction, I was finding within my own self a deep appreciation for such an achievement by the building’s designers. The feat that they accomplished was keeping OUT of its construction, more than 360 commonly used and potentially toxic elements and compounds – from its walls and wires, to its pipes and paints. A report by the scientists, who focused their research on just one common condition – “asthma” – resulted in “Asthmagens” on the Healthy Building Network website. Their report underscores the potential dangers of this vast and largely undisclosed stew of chemicals hiding in most building materials used in modern homes, schools, hospitals and offices. Americans now spend an estimated 90 percent of their time in such indoor spaces. This list of chemicals includes neurotoxins, carcinogens, hormone mimics and reproductive disrupters, which could be playing a role in a number of today’s increasing health problems. I personally believe that we see so many incidences of cancer in the general population now for similar reasons to why there is such an increase in the incidence of asthma. Human beings are exposed to great concentrations of chemicals, that they did not naturally evolve to be in that much contact with, due to the advances of modern chemistry in concert with industry, for the production of products that contribute to revenue streams. These products become conveyances of those substances, that each of us are coming into increasingly frequent contact with. I welcome the ever closer scrutiny of design professionals with the educated ability to analyze and interpret the safety of such common ingredients of modern living. They are bringing us not only greater transparency but refining our awareness of these impacts. The group that created the Pharos database cross-referenced a list of known and suspected asthma-causing chemicals with ingredients in over 1,300 flooring, adhesive, insulation and other building products. A priority list of 20 target chemicals were chosen for their likelihood of preventing the development of asthma. These chemicals all showed a significant potential to cause the onset of asthma, and were likely to actually be absorbed, inhaled or ingested by building occupants. Many volatile organic compounds (VOCs), such as formaldehyde, made the list. The potentially toxic emissions from these products peak when the product is new and then dwindle over time as they are “off-gassed”. Semi-volatile organic compounds (SVOCs), which tend to capture less attention from the building industry, are also represented on the list, due to their propensity to create much longer-term indoor hazards because they slowly degrade over time. Also included are flame retardants, phthalate plasticizers and other SVOCs which have been also identified as hormone disrupters. Some of these are better known for their emerging links to things like obesity, breast cancer and attention deficit disorder, but evidence suggests the chemicals can affect the lungs and the subsequent development of asthma, as well. Over recent decades, as more and more man-made chemical complexes have entered our daily lives, energy efficiency standards simultaneously tightened-up buildings. One of the troublesome trade-offs to this well-intentioned campaign is the trapping of toxic gases released by those chemical ingredients. 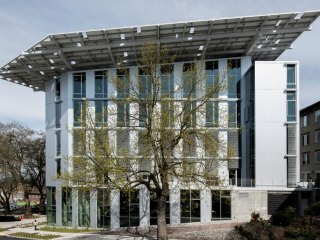 Even a construction project that earns a top rating for being a “green building” (such as the U.S. Green Building Council’s Leadership in Energy and Environmental Design – LEED) certification, may still be packed full of toxins — with perhaps even less of an opportunity, due to energy efficiencies, for their escape. We appreciate the attempts in considering the new LEED standards unveiled in November to offer manufacturers credit for the disclosure and elimination of certain hazardous chemicals. While this may have immediate financial implications for business, we are in agreement with the long term intention – “to ultimately reduce harmful chemical exposures.” We understand that in order to do that, disclosure must occur regarding what is actually in the product that is going into the building. Many of those who are genuinely green-hearted in the design world (including those creating the new LEED standards) have already realized that many of the kinds of chemicals that they would like to keep OUT of buildings, are viewed by their manufacturers as “trade secrets”. They often don’t appear on any disclosure of ingredients list and many have never been tested, for their effects on human health. We understand that that the environment’s ability to sustain life can be seen as intimately linked with the health of human beings. 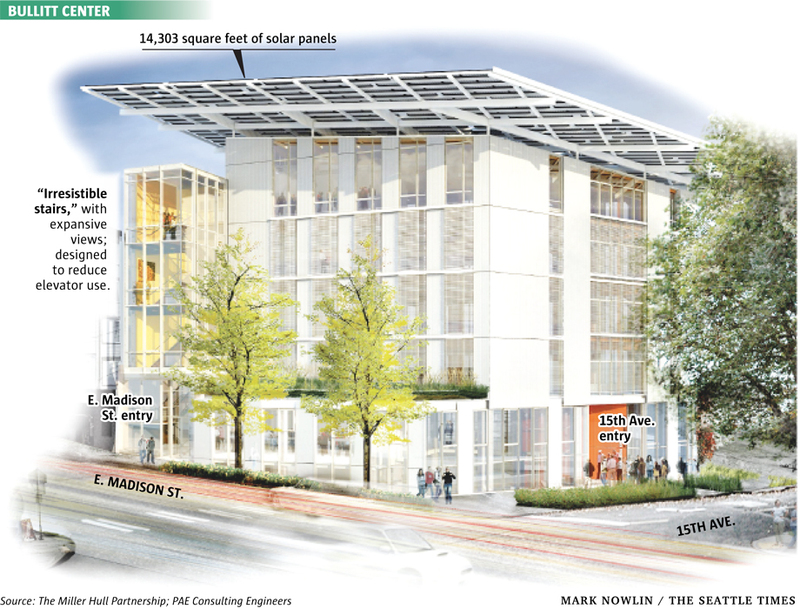 Next year (Jan 15, 2014), designers will be able to access a list of ALL of the ingredients approved for the Bullitt Center (950 individual components) on their website. 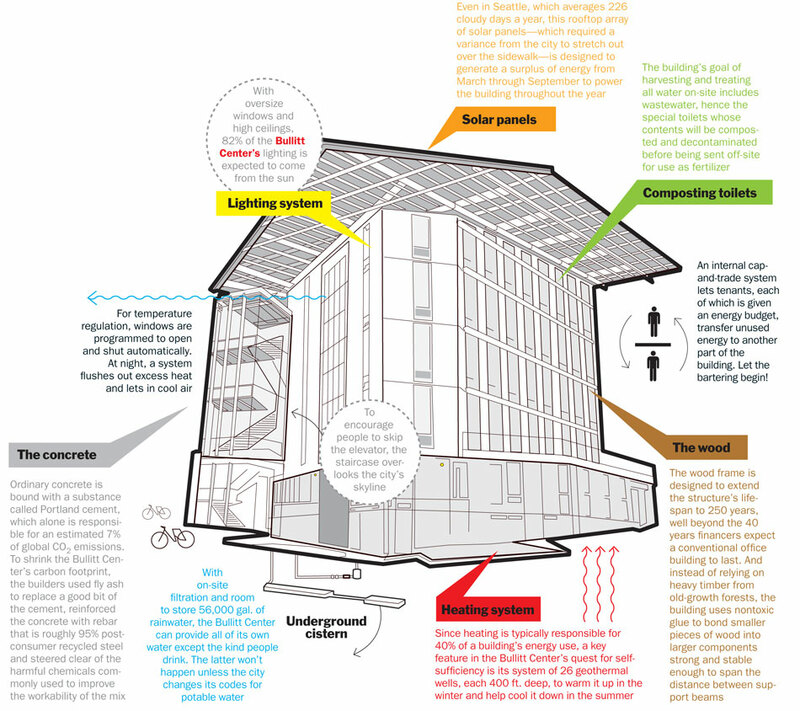 We look forward to that gift of The Bullitt Center’s willingness to share their hard work, with all of us who love healthy buildings full of healthy people.